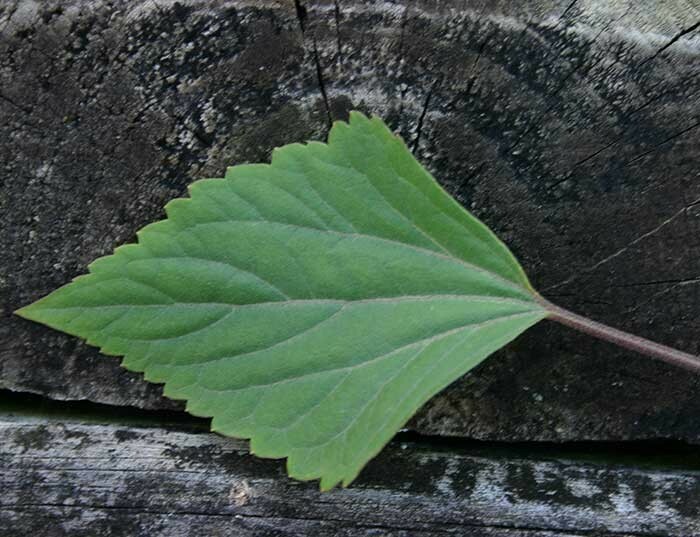 Stems usually covered in hairs, become woody with age, and have branches in opposite pairs. Like mistflower it is poisonous and usually avoided by livestock. It is commonly found in forest margins and clearings, waste places, scrubland and along stream sides, but rarely in swamps. It is common north of Auckland and found in areas south of Auckland, especially on the Coromandel Peninsula. It is a perennial plants with fibrous roots. 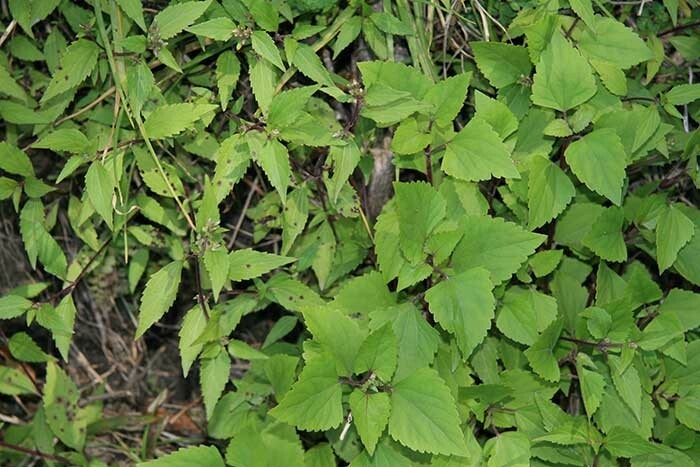 In some countries Mexican devil has been considered useful for providing some protection from erosion. 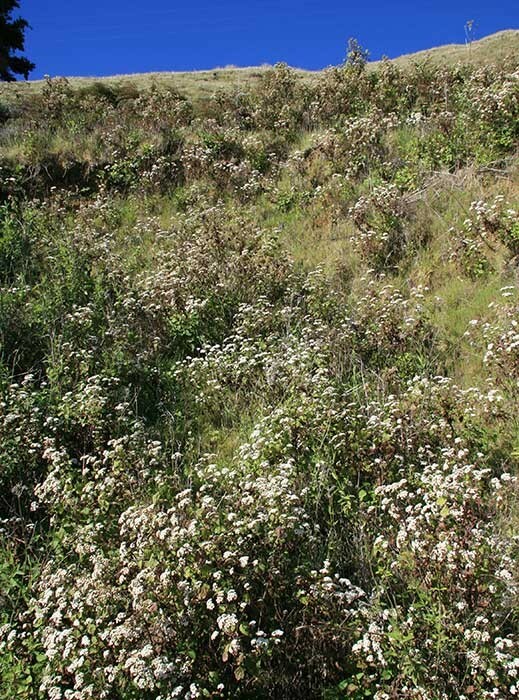 It forms dense colonies that prevent the establishment of seedlings of native plant species. It replaces more useful plants on the edges of waterways and can impede drainage. It is poisonous to livestock. It has been reported that Mexican devil has caused lung lesions in horses. Small infestations can be dug or pulled out, leaving the roots exposed so they dry out. 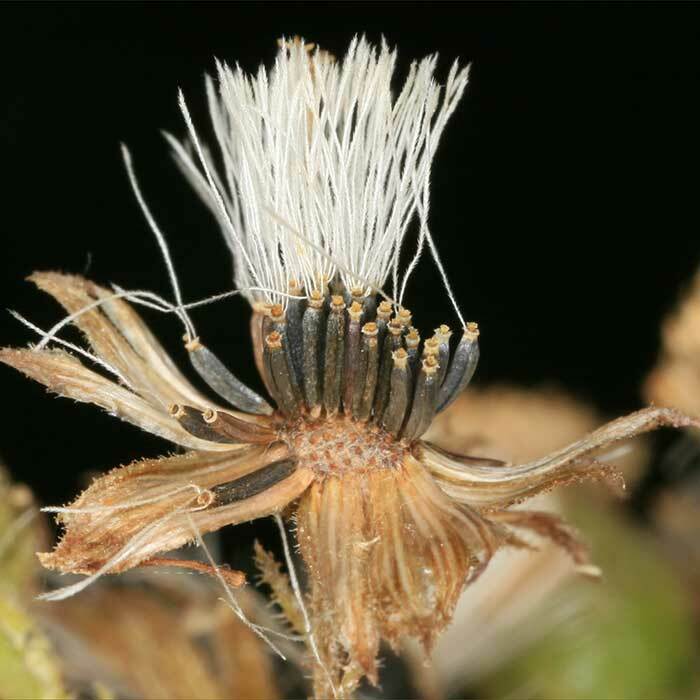 Mexican devil is readily controlled by a number of herbicides but as they frequently grow in areas where access and use of spray equipment is a problem, chemical control is often not an option. ALWAYS READ PRODUCT LABELS BEFORE APPLYING: Consult your farm consultant, industry rep or the New Zealand Agrichemical Manual for more information about chemical control. 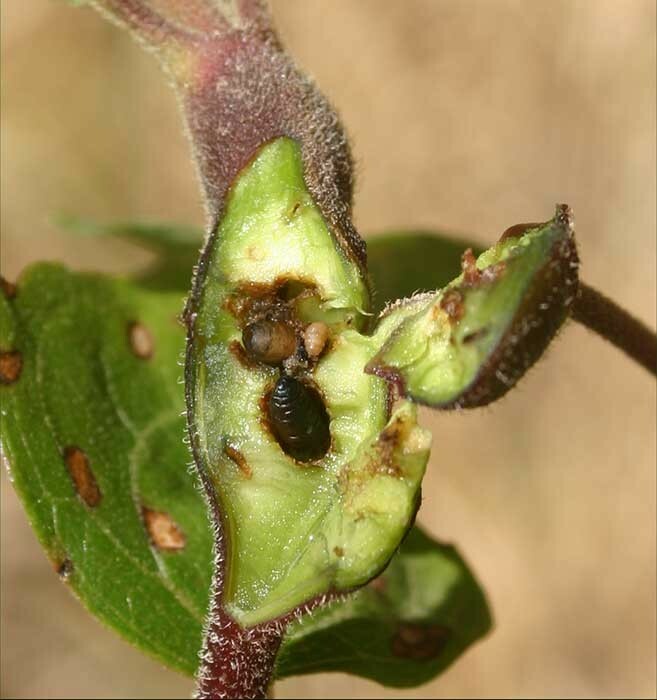 The gall fly Procecidochares utilis has been introduced as a biocontrol agent for Mexican devil, but this insect has been found to be parasitised, which has reduced its potential value as a biocontrol agent. Waikato Regional Council 2014. 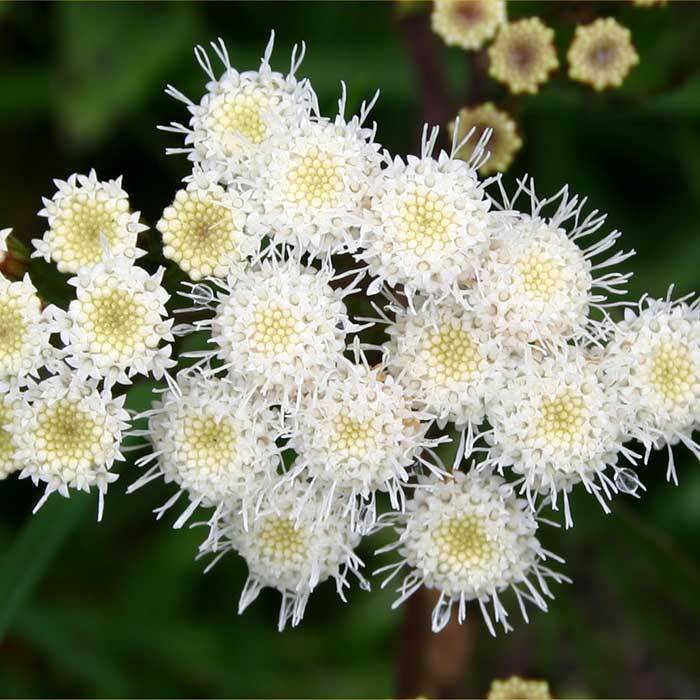 Mistflower and Mexican devil, Biosecurity series – pest plant factsheet 25 (accessed 20 May 2015). Weedbusters New Zealand 2014. 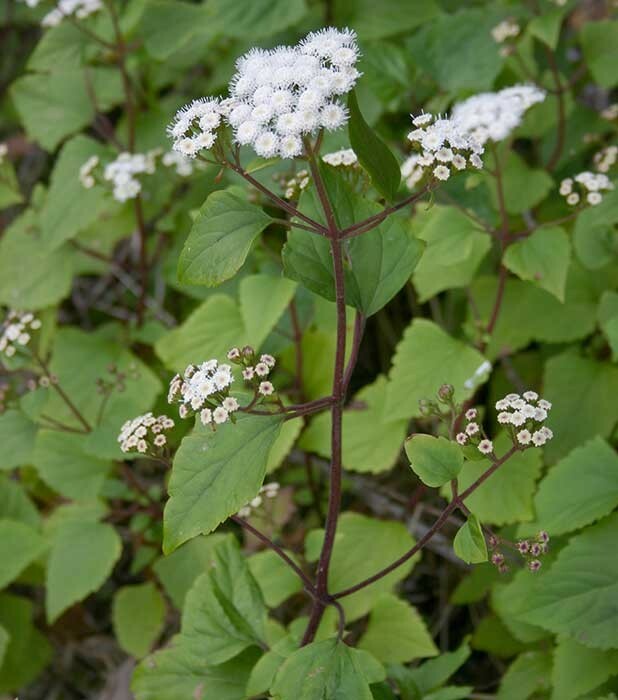 Ageratina riparia: Mexican devil (accessed 4 May 2015).